Brunch and vacation seem to go hand in hand. What could be better than sleeping in, waking up to the sights and sounds of the ocean, and then filling up on decadent breakfast and lunch items before hitting the beach? If you are looking for the best brunch in Myrtle Beach – we’ve got you covered. The Gospel Brunch at the Myrtle Beach House of Blues has become a tradition for many locals and visitors alike – and it’s not hard to figure out why! This truly one of a kind experience combines upscale southern brunch favorites with uplifting and award winning live entertainment choreographed by Kirk Franklin. The brunch buffet varies but always includes several carving stations, an omelet action station, sweet favorites like pancakes and pastries, breakfast meats, and their famous chicken and waffles. The cost is only $29 / adults, $14.50 children ages 7-12, and FREE for children 6 and under. Chestnut Hill has been voted “Best Brunch at the Beach” for over 25 years running and they show no sign of slowing down! Their generous selections and high quality offerings provide a winning combination for guests of any age and groups of any size. This upscale buffet includes: baked ham, southern fried chicken, roasted prime rib with au jus, French toast, homemade quiche, eggs benedict, assorted chilled salads, fresh seafood selections, plenty of succulent southern sides, and a wide array of desserts like cobblers, cakes, and more. The cost is only $22.95 / adults, $19.95 / teens (11-16), $10.95 / seniors (61+) and children (4-10), and FREE for children3 and under. In the mood for something different? If so, head to Market Common and check out Crepe Creation Café. As the name suggests, this quaint café serves up creative crepes of both the sweet and savory variety. 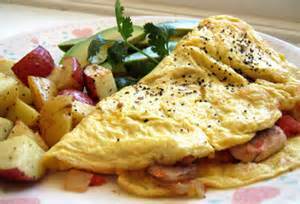 Breakfast selections include options like steak and eggs and “Western Morning” which includes scrambled eggs, ham, bacon, and cheddar. Or, if you want something a little more savory, try their lunch selections like cordon bleu, Parisian (with brie, apples, almonds, and black cherry balsamic), or the veggie. Other options include hand-pressed waffles, soups, salads, and paninis. Prices vary by menu selection. Known for offering an eclectic collection of traditional southern cuisine with a distinctive French flare, Croissants is a fantastic upscale brunch spot and is definitely a local favorite. Aside from the full breakfast and lunch menus, the brunch menu is offered exclusively on weekends. Options include a crab cake sandwich, croque monsieur, turkey pretzel club, farm fresh omelettes, breakfast plates, several “benedict” varieties, quiche, and hearty entrees like shrimp and grits or meatloaf – to name a few. Prices vary based on menu selection. Brand new for 2015, Tupelo Honey Café was a welcomed addition to the Market Common area and has created quite the buzz. Their scrimptions brunch menu includes a wide array of creative southern favorites. Options include fried chicken and biscuits, southern breakfast bowl, sweet potato pancakes, smoked jalapeno fried egg BLT, Chef Brian’s specialty omelettes, “small plates”, and upscale meat and three selections. Tupelo Honey also offers an eclectic array of signature bloody marys to choose from. If dining with a view is what you seek, look no farther than Gulfstream Café, located a short drive south in Garden City. The unique peninsula location of this eatery provides breathtaking views of both the Murrells Inlet marsh on one side and endless Atlantic vistas on the other side. The upscale brunch buffet here varies each week but often includes favorites like homemade biscuits, an omelet station, breakfast meats, southern style grits, baked chicken, fresh veggies, French toast, and a killer “make your own” Bloody Mary bar that you won’t want to miss. The cost is only $12.95 / adults and $5.95 / children. Another “south end” favorite, Salt Water Creek Café is located in Murrells Inlet, the seafood capital of the state. Their yummy brunch menu includes an eclectic variety of breakfast favorites and creative seafood dishes that you can’t find anywhere else along the strand. Selections from the brunch menu include a variety of original “benedicts”, savory omelets, generous breakfast platters, stuffed French toast, and steak and eggs – to name a few. Prices vary based on menu selection. A more recent addition to the already impressive Pawleys Island culinary scene, BisQit offers fresh, homemade food at a price you can afford. Their unique position is centered around – you guessed it – fluffy, handmade biscuits. Enjoy breakfast favorites like biscuits and gravy with fried chicken and breakfast biscuit sandwiches or one of their famous burgers served on your choice of biscuit or a fresh baked bun. Be sure to save room for a handspun milkshake which you can enjoy as is or “spiked”. Prices vary by menu selection. Coral Beach Resort – Atlantis Restaurant at Coral Beach Resort offers a decadent breakfast served daily that includes a wide array of traditional breakfast favorites like egg preparations, breakfast meats, pastries, and plenty of fresh, hot coffee. Sea Crest Resort – Grab a quick meal to-go at the Beach Java Cafe located at Sea Crest Resort. Beach Java Cafe is one of the few places at the beach to serve Starbucks Coffee and offers a variety of quick-serve options like sandwiches, pastries, muffins, and more. Holiday Inn Oceanfront – Holiday Inn Oceanfront is one of the best deals at the beach since it includes a FREE daily breakfast to all guests. The breakfast buffet includes plenty of breakfast favorites to please everyone. Where is your favorite place in Myrtle Beach to grab brunch? Let us know! The area is “going green” this spring for St. Patrick’s Day and you won’t want to miss out on the action. Whether you are seeking a family friendly affair or want to enjoy live music and drinks with friends you are sure to find the perfect way to spend this festive day. Check out what Myrtle Beach has in store for St. Patrick’s Day! Kick back and relax this St. Patrick’s Day with a lively bonfire event at La Belle Amie Vineyard. This popular wine tourism venue often hosts events throughout the year and this one should surely be on your radar, particularly if you want to do something a little different this year. The festival will include live entertainment form the Stringwood Trio, grilled goodies from The Vineyard Grill, complimentary vineyard tours (weather permitting), and $5 wine tasting which include 6 samples and a logo wine glass gift. Come enjoy a toasty bonfire, good eats, and great wine! Whether you just want a place to grab some great Irish grub or you want to keep the Irish celebrations rolling throughout the evening, be sure to stop by Castano’s Steakhouse to top off your “green pride”. This popular waterfront Barefoot Landing restaurant is going green in a big way with plenty of decadent Irish food specials including corned beef and cabbage, Guinness stew, and shepherd’s pie. There will also be live entertainment, party favors, and generous drink specials including green beer and the “shamrock shaker”. Stop by and get in the holiday spirit with authentic Irish eats! Call (843) 361-2000 for more information. The Boardwalk St. Patrick’s Day Festival is inarguably the biggest celebration along the Grand Strand. This daylong event takes place along the bustling downtown boardwalk area and is a hub for live entertainment and activities all weekend long. The festival will span three city blocks and feature several live music stages with entertainment all weekend, several food and retail vendors, the area’s largest Irish beer garden, and a dedicated family area with carnival rides, games, a petting zoo, camel rides, and more! There is truly something for everyone at the Boardwalk St. Patrick’s Day Festival so make plans to stop by anytime between 12pm – 10pm on Saturday! Looking for a more low key St. Patrick’s Day celebration? If so, look no farther than the scenic Market Common area for your celebrations. The 7th Annual Irish Festival kicks off at 11am and runs until 7pm at Valor Park. The festival will feature Irish style live entertainment, tasty food vendors, a generous Irish beer garden, and plenty of family fun for all ages. Games, face painting, and arts and crafts are just a few things that guests can look forward to. The Market Common Irish festival is a popular destination for groups and families who want to avoid the hustle and bustle of downtown but still want to enjoy a great Irish affair. Kick off your Irish spirit bright and early with North Myrtle Beach’s annual St. Patrick’s Day Parade and Festival. This area event attracts thousands of visitors each year and is a rain or shine event. The parade begins promptly at 11am on Main Street and is followed by a lively post-parade festival. There will be two live music stages, a large dedicated children’s area with lively games and carnival rides, a shepherd’s pie eating contest, and more than 150 food, retail, and craft vendors to explore. This is a great option for families or visitors who want to enjoy a mid-day celebration. A short drive to the south end will land you at O’Keefe’s Irish Pub. Visitors can enjoy food and drink specials all day long and free shuttles to and from the Downtown Myrtle Beach Festival. Call (843) 651-7211 for more information. Guests who enjoy the historic Lake Arrowhead Drive area of the beach will definitely want to check out this Irish hangout. Finn’s will have live music from Victor Cunneen and plenty of food and drink specials in store for St. Pat’s! Call (843) 449-7616 for more information. Bumstead’s is the go-to spot for post-festival food and drinks! Crowds flock here for the tasty grub and live entertainment – you won’t want to miss out! Call (843) 445-6592 for more information. A North Myrtle Beach tradition, Flynn’s is home base for the North Myrtle St. Pat’s parade and festival and will have plenty of food and drink specials as well as live entertainment waiting! Call (843) 249-6533 for more information. Enjoy oceanfront fun in North Myrtle Beach at Molly Darcy’s Irish Pub! This lively local hotspot also offers a full menu and an extensive game room. Call (843) 272-5555 for more information. Looking For A Hotel Near The Boardwalk? If so, we can help! Our Holiday Inn Oceanfront Property is conveniently located right along the bustling Myrtle Beach Boardwalk – just a short walk to all of the festival action! Coral Beach Resort and Sea Crest Resort are also both situated just a short drive from the downtown area. Be sure to check out our three Myrtle Beach Resort properties & hotel deals to book your stay in downtown Myrtle Beach today!